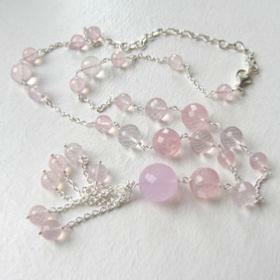 Natural rose quartz is a wonderful pastel pink and can be translucent or opaque. 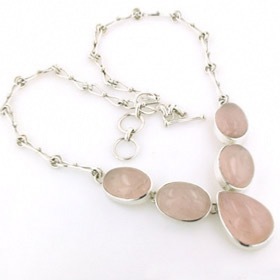 The colour is sometimes peachy, sometimes pale. 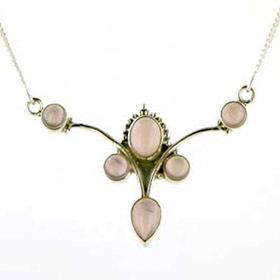 Characteristically, natural rose quartz has visible inclusions. 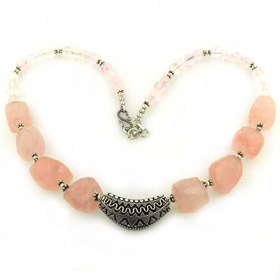 Whether you are shopping for a rose quartz bead necklace, rose quartz pendant necklace or a statement rose quartz necklace, there's something here in our collection. 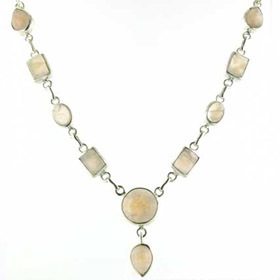 Remember - Free shipping on all our gemstone jewellery and silver chains. 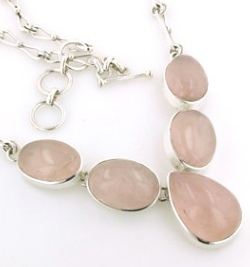 Find a pair of rose quartz earrings and a rose quartz bracelet to complete your rose quartz jewellery.